In 1954, the U.S. Supreme Court made the above declaration in the case of Brown v Board of Education of Topeka, and found that segregated schooling on the basis of race was unconstitutional. Nearly six decades later, the view remains equally significant in light of a different basis of segregation: that of children with disabilities. Article 24 of the UN Convention on Rights of Persons with Disabilities (2006, CRPD) recognises the right to inclusive education. In 2016, the Rights of Persons with Disabilities Act in India (RPWD Act) was enacted to give legal basis to this within the domestic legal system. The state was to endeavour to ensure that schools recognised by it provided for inclusive education, which was defined as a system where children with and without disability learn together and the system of education is suitably adapted to meet the learning needs of all learners. However, despite ensuring access, the RPWD Act is woefully inadequate in ensuring quality inclusive education for children with disabilities. This is the basis of a petition filed by the Vidhi Centre for Legal Policy (Vidhi). The intervention of the High Court is required to ensure that the absence of a regulatory and monitoring mechanism for schools does not create a situation where inclusion is rendered meaningless. 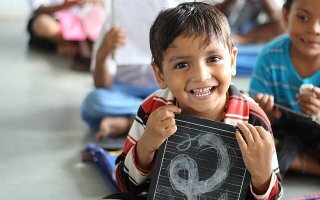 The right to education in India is enshrined in the Constitution of India under Article 21A. This was a hard won right for ensuring free and compulsory education for all children in India. The Right of Children to Free and Compulsory Education Act (2009, RTE Act) was enacted as the implementing act, which seeks to give statutory basis to both access and quality education to children in a neighbourhood school. To this end, the RTE Act sets out the obligations and duties of the state as well as norms and standards for schools. The RTE Act also creates a vision for inclusive classrooms by requiring all private unaided schools to reserve 25% of their seats for disadvantaged groups and weaker sections, which includes children with disabilities. But that is the limited extent to which the RTE Act caters to children with disabilities. As such, norms and standards which schools are required to follow to ensure inclusive education, especially private schools in order to get recognised by the state, have not been laid down. There is no mandatory requirement or penalty on schools to provide facilities such as support materials or special educators, which is necessary for inclusion of children with disabilities in mainstream schools. The result is that inclusive education is ensured only as far as admission is concerned, without any adaptation of the system to ensure reasonable accommodation or support, as required by the CRPD. The above view, though not a final decision, is representative of the commonly held but erroneous view that the needs of children with disabilities are so different that they cannot possibly be satisfied in mainstream schools, thus equality can only be ensured through separate schools for children with disabilities. Vidhi’s intervention in this matter argues that any decision taken by the Court must bear in mind that separate but equal stands rejected by Article 24 of the CRPD. In fact, General Comment No. 4 on inclusive education (2016) of the Committee on Rights of Persons with Disabilities on Article 24 expressly recognises that continuing to promote and maintain segregated schooling is inconsistent with the attempt to realise the rights under the CRPD. Admittedly, the state of integrated education is such that immediately shutting separate schools may be counter-intuitive. This is because development of schools as models of meaningful inclusion, capable of accommodating all kinds of children, can only be met through progressive realisation and incremental steps towards inclusion. Nonetheless, General Comment 4 clarifies that while inclusion is subject to progressive realisation, there are certain obligations that must be immediately realised: providing access to common schools on the basis of equal opportunity, and reasonable accommodation of the common learning environment to suit the needs of children with disability. In the long-term, the state should strive to reduce dependence on special schools, and phase out segregated schooling, with particular emphasis on tackling institutionalisation where the child loses access to the community and family. In the meantime, the state must not be allowed to take refuge in the existence of special schools in order to avoid its obligation to move as expeditiously and effectively as possible towards inclusive education. This will, however, be without prejudice to the child’s right to free education either in a neighbourhood or special school, as recognised in the RPWD Act. Further, until inclusive classrooms are a reality for all children, if segregation is deemed necessary, schools must adopt necessary safeguards during the transition process. General Comment 4 explains the need for inclusion in light of the problematic prejudices that form roadblocks to imagining such a possibility, that is the patronising presumption that the needs and aspirations of children with disabilities are inherently different from other. Perhaps, more significantly, it needs to be considered that the reason separate but equal cannot exist in schools is because public education is the foundation for creating equal participation in society. As such, there is a need to view public education as more than a means to a future of equality; it is an end in itself, representative of the first level of equal participation. For further information, see our dedicated page on inclusive education. The authors, Pallavi Mohan and Sanjana Srikumar are Senior Resident Fellow and Research Fellow respectively at Vidhi. The petitions for regulation of schools as well as the intervention application are available here. More information on Vidhi here. This indeed makes for a great read! Thank you so much for spreading this great piece. The thing is the equal class is a very good decision by Indian govt. It also boosts confidence for those students who want to learn but somehow they can't afford high facilities schools. I came across a website that offers great scholarships for students who wish to understand more about this subject and create their own products. Here is a link to this website. I wish you all the best for all your future posts and hope you keep helping students.